war. 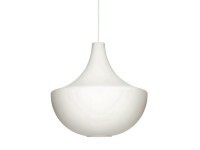 The light fixtures began to interest me to such an extent that I set aside furniture design. I am slightly more interested in lamps and light than in design. 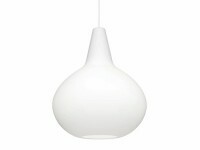 I wish to provide every Finnish household with good light”. The materials used in the light fixtures she designed included enameled metal, acrylic and glass. 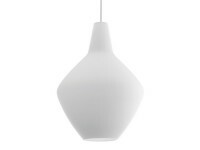 Johansson-Pape’s lamp designs always stressed technical functionality and practical use. 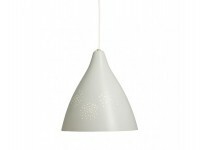 Lisa Johansson-Pape began to collaborate with the glass blowers at the Iitala glass factory in the 1950s. A new collection of glass lamp designs was born through these experiments. Johansson-Pape designed light fixtures for many public spaces, such as hospitals, churches and ships. Lisa Johansson-Pape’s works represented Finland in many international exhibitions, dating from the 1930s. 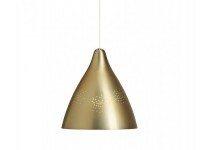 Her lamps received awards at the Milan Triennials in 1951 with a silver medal and in 1954 with a gold medal in design. “A lamp is not the actual purpose, but more like an instrument. 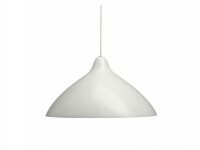 It must fulfil its purpose as a provider of light, but at the same time it must also satisfy the aesthetic demands. 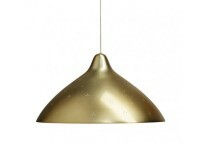 A good light fixture must be simple and its structure and function must be both neat and correct”.